Keynote speakers: Professor Wes Sharrock, University of Manchester & Dr Patrick Watson, Wilfred Laurier University. Please join us for the next EMCA Doctoral Network Meeting at The University of Manchester. This is the eleventh in a series of biannual workshops for doctoral students undertaking research in the allied fields of ethnomethodology and conversation analysis. Places are limited, so please apply as soon as possible. Just fill out the Application Form and return to mdmair@liverpool.ac.uk. 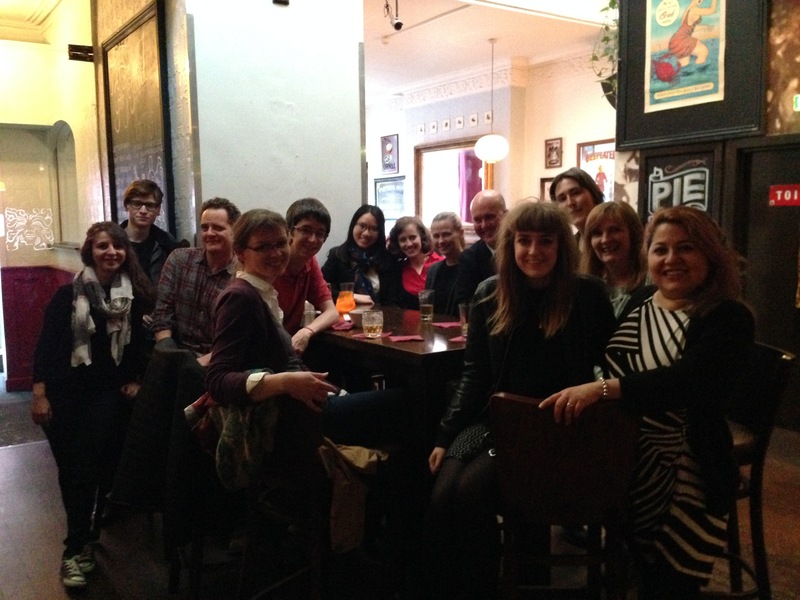 The meeting received funding from the Wales DTC and the School of Social Sciences at Cardiff. It was organised by Robin Smith. Our Loughbrough event featured a reading group and a skills session, as well as data sessions, presentations and plenty of opportunities to network and talk to other participants. The reading group focused on ‘Challenges in conceptualizing applied CA findings and communicating them to practitioners’, while the skills session demonstrated Wondershare Filmora (‘a simple film editing software for the technically challenged’). Participants praised the friendly atmosphere and the wide range of activities available. 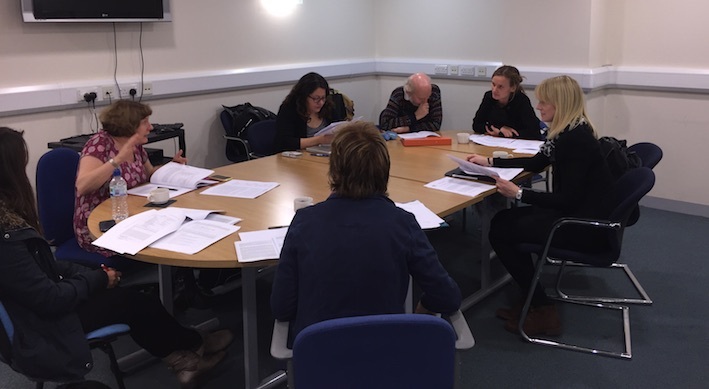 The meeting received funding from Loughborough’s Centre for Research in Culture and Communication and was organised by Emily Hofstetter, Jessica Robles and Laura Thompson. The EMCA Sheffield event included presentations, data and training sessions, reading groups, as well as social and networking opportunities. The data sessions and reading groups were particularly well received. The event was organised by Helen Cameron, Alex Dennis, Sarah Gelcich and Verónica González Temer. It was sponsored by the White Rose ESRC DTC. The EMCA Manchester event included presentations, data/skills sessions, discussions, as well as opportunities to chat informally and network. 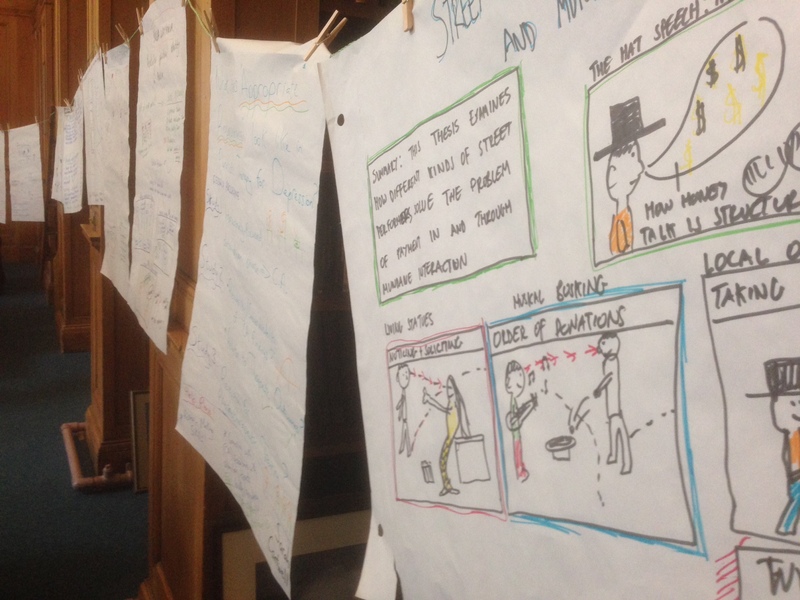 The skills sessions and discussions were particularly valued. They included ‘Discursive Psychology’ (Bogdana Huma), and data presentations by Haia Alazaidi, Andreas Reiter, Yoonjoo Cho and Somporn Maneechot. In addition there were twelve individual presentations. Some participants kindly reviewed the meeting for the Research on Language and Social Interaction blog: http://rolsi.net/guest-blogs/4th-emca-doctoral-network-meeting-in-the-land-of-the-ethnos%E2%80%A8/. The event was organised by Michael Mair, Hannah Berry, Chris Elsey, Paul V. Smith and Philip Brooker. It was sponsored by the North West ESRC DTC. The EMCA Nottingham event included a range of presentations, skills sessions, reading groups and data sessions as well as opportunities to chat informally and network. The skills sessions were a fantastic opportunity for the attendees to share their knowledge and expertise. 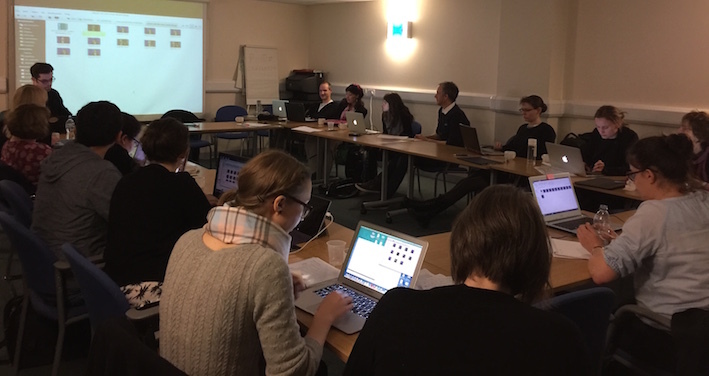 They included ‘Transcription tips in Microsoft Word’ (Emily Hofstetter), Analysing Body Movement (Lewis Hyland), Using PRAAT (Veronica Gonzalez Temer) and Negotiating NHS Research Ethics (Alison Pilnick, Ruth Parry and Marco Pino). The Nottingham event included more presentations than at previous EMCA events, and a special mention should go to the presenters for the exceptional standard of work all round. Ruth Parry’s keynote on ‘Systematic Reviewing: a way to get CA findings used in practice and policy’ was a particular highlight, and shed light on both the challenges and the opportunities that collating CA findings can provide and the practical implications this can have in real world settings. The event was organized by Joseph Webb, Alison Pilnick, Marco Pino, Lewis Hyland and Ruth Parry. It was sponsored by Nottingham ESRC DTC. 24 students attended (21 from the UK and 3 from elsewhere in Europe). The meeting included a strong programme of formal and informal activities. 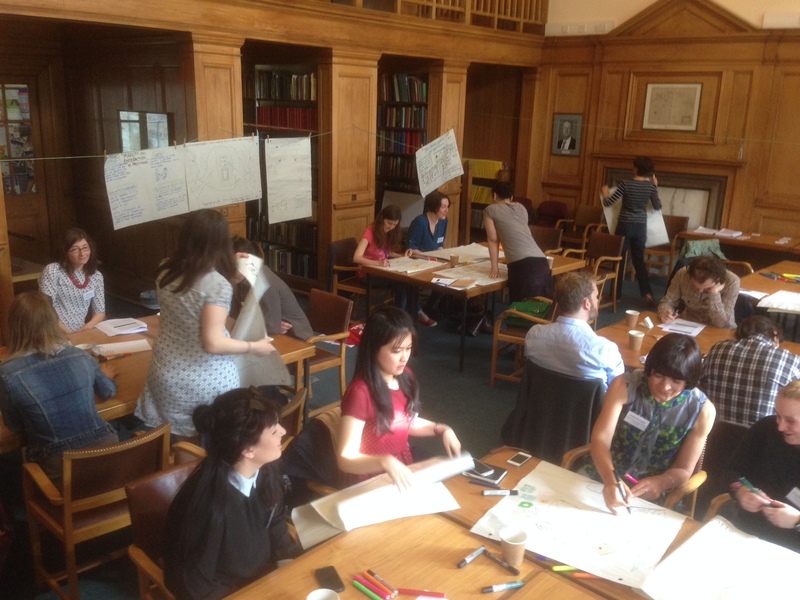 It also introduced some excellent ‘skills sessions’ that were run by current EMCA doctoral students. Emily Hofstetter (Loughborough University) outlined the use of Audacity and Audition for editing sound files. Meanwhile Saul Albert (QMUL) discussed the value of CLAN and Docear when working with video data. 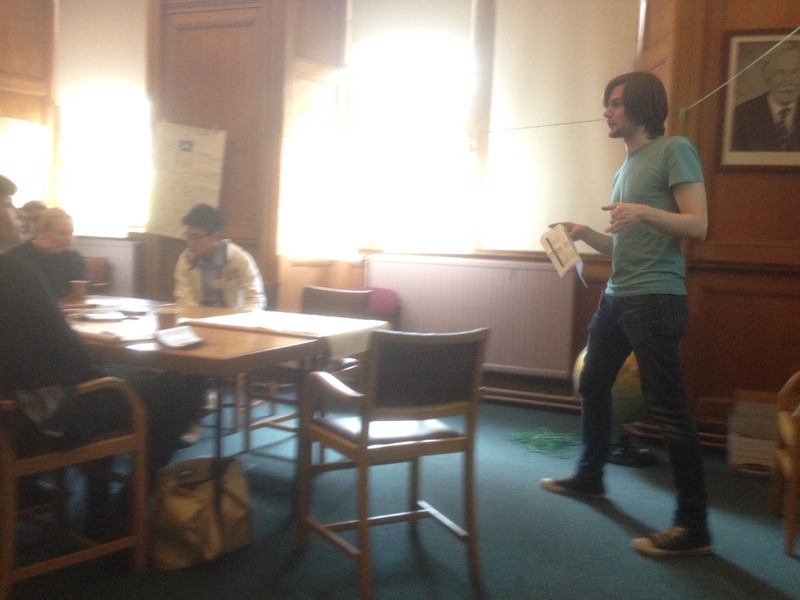 The meeting was organised by Jon Hindmarsh, Francesca Salvadori and Zain Nizameddin. It was sponsored by the King’s Interdisciplinary Social Science Doctoral Training Centre (KISS-DTC) and the Department of Management at King’s College London. 23 students attended (8 from Scotland, 10 from elsewhere in the UK and 5 non-UK). Beyond the formal sessions, there was also a walk around Edinburgh and an opportunity for dinner and drinks on the Saturday evening. A detailed review of the event by one of the participants, Saul Albert from Queen Mary, University of London, can be found here. The meeting was organised by Tim Smith and Eric Laurier and sponsored by the Scottish Graduate School of Social Science Doctoral Training Centre (SGS-DTC).